Two words: Kabaj (the producer) and Rebula (the grape) both from Slovenia. The grape is better known elsewhere as Ribolla Gialla. So, excepting when “Rebula” (Re-bohla) refers to the brand name on the label of the wine produced by Kabaj (Ka-bye), the grape will be identified here as Ribolla (and I’ll assume you’ll remember the Gialla part). 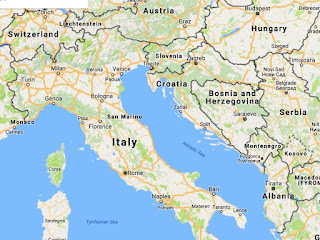 Regarding Slovenia, it abuts Italy on the north and eastern side of the Adriatic Sea. The grape originated in Greece and came to Slovenia (where it is known as Rebula) through Italy. Ribolla is grown in Rosazzo and in Oslavia within Italy’s Friuli. 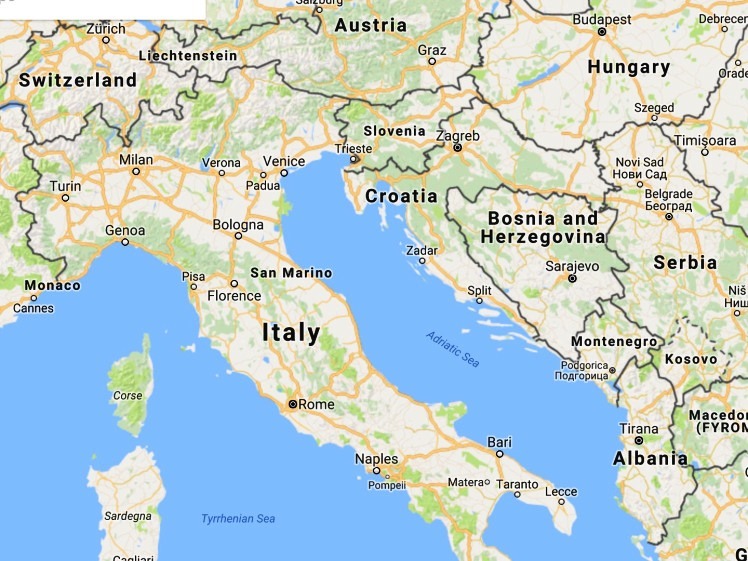 But even more (much more) is grown on the eastern side of the border in Slovenia within the areas of Vipava and Goriska Brda. Kabaj’s vineyards are in Goriska Brda, 15 miles from the Adriatic and on the foothills of the Alps. Throughout Slovenia, Rebula is known as “The Queen of Brda” where the vines thrive in the slate and sandstone soil of the hilly, sun-enriched terrain where the remains of an ancient seabed enriched the soil with marl and flysch. Medieval records dating back to 1256 mention that Rebula had already been planted in Goriska Brda’s vineyards. Later, under Soviet rule in the late 1940s, profitable family enterprise was not encouraged and vineyards had little motivation to modernize having become state run. Slovenia gained independence in 1991. Indigenous grapes were replanted. But by then, Italy, just to the west, and many other countries both in the “old” and “new” worlds had long established a solid foothold in the global marketplace. 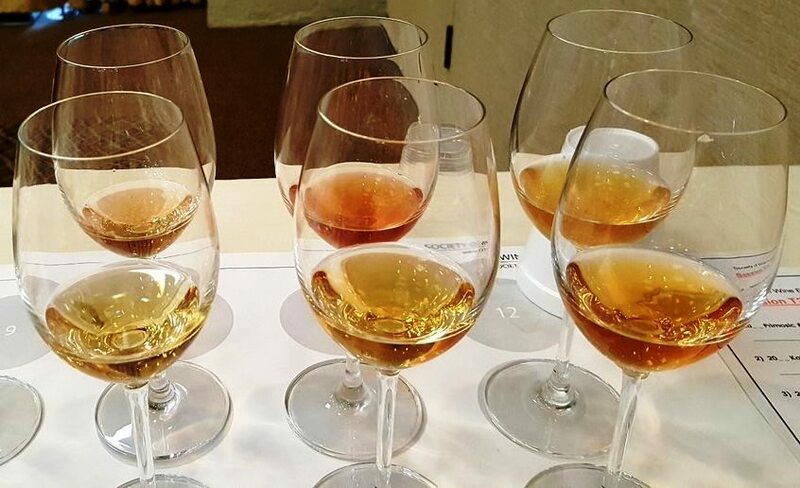 Wines from eastern Europe remained and remain today largely unfamiliar in the U.S.
Too bad. Because “Rebula” from Kabaj is such a versatile wine and so tasty. It’s a white wine. And it is made with extended skin contact so you’ll find some that refer to it as an “orange” wine. Ignore that. While I enjoy orange wine, most U.S. consumers do not. It’s only within the last few years, after all, that we’ve come to gleefully quaff Rose in significant numbers. The extended skin contact (30 days) that Jean-Michel Morel employs in making Rebula presents a wine resulting more in texture than in color. And despite the extended skin contact, this wine retains a freshness and lively acidity and offers a cleansing finish. In the glass, it shows deep gold (think oaked Chardonnay). Aromas of lychee, stewed apricot and orange pith dominate - accompanied by hints of straw, soy sauce and petrol. On the palate, expect a mélange of lemon and passion fruit with notes of saffron and unsweet peach. The wine is weighty: medium plus, again like an oaked Chardonnay. But aging is in neutral wood (not new oak) so the fruit remains fresh and lively. By all means, chill the wine, but I recommend that you allow it to warm some outside the refrigerator before serving (yet again – like an oaked Chardonnay). Doing this will introduce even more taste-treats particularly on the finish. I enjoyed a compote of banana, black olive, clove and the slightest suggestion of mint on the end taste. Other tasters note juicy pineapple, honeycomb, roasted hazelnuts, vanilla, chai tea and anise. All palates are personal and correct for the person owning it. Suffice to say, this is a complex wine. With Peruvian Peppers). Rebula Was a Perfect Pairing. For good reason. Bordeaux trained oenologist Jean-Michel Morel, after spending time also in cellars in Languedoc and Collio Italy, married Katja Kabaj of the Kabaj estate in Slovenia. And thus was blended a mix of French and Italian sensibilities into Slovenian vineyards that had withstood the test of time and had been producing quality wine for generations. With his fondness of working with amphorae, Jean-Michel demonstrated that his agenda in Slovenia was simply to make the best wine possible. Ribolla (Gialla) had been successful in Italy and Rebula was considered to be its ancestor. There are so many grapes that are not classified as “noble” or considered “international.” The former seems to be those dictated by governing authorities as authorized for use in the making of wine from particular appellations. The latter applies to wine grapes grown worldwide; having benefited from marketing and winning popularity contests. In a which came first “chicken or the egg” fashion, was it the marketing that created the grapes popularity or the fact that the grape could be grown in so many areas that created its popularity? Ribolla/Rebula is not an international grape, but for me has made a wine that is indeed “noble” in the glass. And with so many indigenous grapes just wanting to become vinified, why limit your enjoyment and learning experiences to only those “international”? Ben would be ashamed. Syrup and Finished in Threads of Saffron. Kabaj's Rebula: Food Friendly & Versatile. A Different Producer's Rebula From Slovenia. “Rebula” literally means “re-cooking,” a reference to the grape’s natural tendency to participate in secondary (malolactic) fermentation and contributing to the wine’s creaminess with a rounded mouthfeel. In malolactic fermentation, which can be induced or just naturally allowed, tart malic acid is converted into softer tasting lactic acid.